Bula! (That's how you say hello in Fiji). These cool facts about Fiji will test just how much you really know. Give our free online quiz a go and see how many questions you can answer. 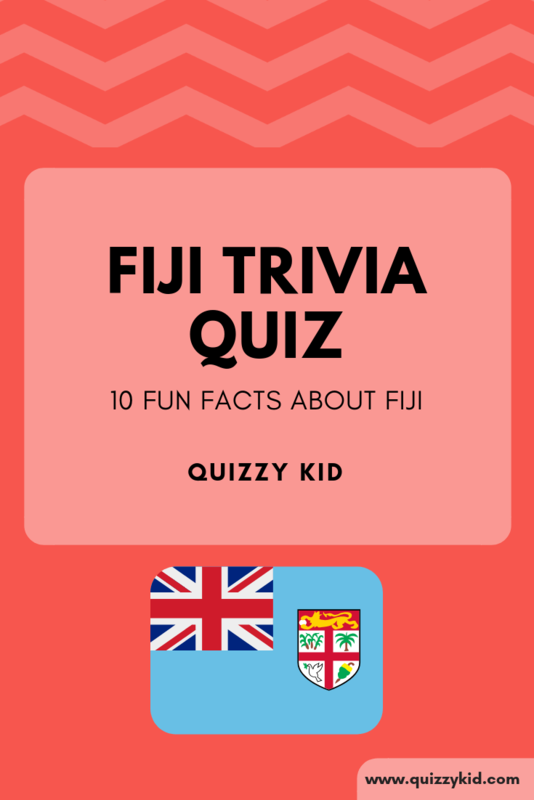 You might even learn some new interesting things about Fiji! We have loads more awesome geography quizzes like our Italy quiz and our India quiz. Go take a look. Q1. What continent is Fiji in? Q2. What language is spoken in Fiji? There are 3 languages spoken in Fiji: Fijian, English and Hindi. Q3. How far is Fiji from Australia: 4,635 kms or 10,635 kms? Q4. Which is the currency of Fiji? Q5. What ocean is Fiji in? Q6. What are people from Fiji called? Q7. What is the capital of Fiji? Q8. What is the main religion practiced in Fiji? Q9. What is the most popular team sport in Fiji? Q10. Fiji is made up of lots of islands. How many are there: 110 or 330?